The academic advising department is available to assist New or Current students. The advisor will help guide students to understand the requirements of our degree programs such as prerequisites, course requirements, and evaluations. 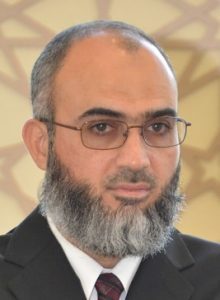 Dr. Main Al-Qudah is Guidance College’s academic advisor. You can call him during his office hours: Monday – Tuesday – Wednesday from 12:00 pm to 3:00 pm CST. You can also email him anytime at academicadvisor@guidancecollege.org. Please limit your communication to Al-Huda academic issues ONLY. If you have any Fiqh questions, please call The Assembly of Muslim Jurists of America – Fatwa Hotline (916) 239-6233.